Here is your Santa Of The Day for Monday, 7th December! 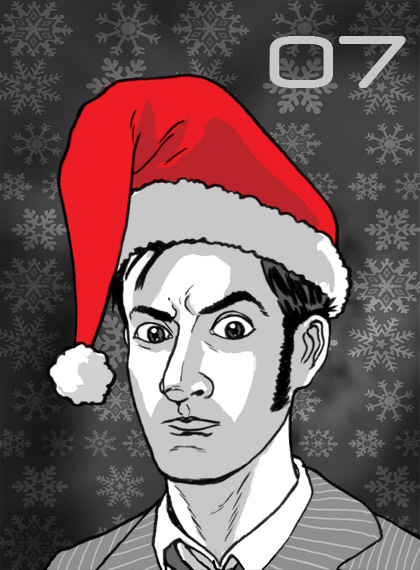 As Christmas has been officially renamed 'New Doctor Who Day' round here, it seemed only right that the old chap should make an appearance. More Santas tomorrow! Don't forget, if you would like to suggest a Santa you can do so here in the comments, or over on twitter. We're also calling it New Who Day. It just seems appropriate. Now I want to see variants for all of the other Doctors, including Peter Cushing!